There are many available careers in the dental industry, but perhaps one of the most popular positions is that of a dental assistant. Most individuals that go into this field do get some sort of specialized education through a program or community college. For many, being a dental hygienist is perfect career choice. However, no job is without its disadvantages. If you are considering becoming a dental assistant, the below advantages and disadvantages will better inform you as to what you can expect in terms of this career and whether or not it is the best choice for you. When considering a career choice, it is also important to look at what the expected growth for the industry will be. According to the Bureau of Labor Statistics, the job outlook for dental assistants is expected to grow by 25%, which is must faster than average. 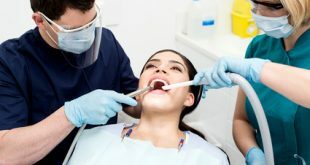 In 2012, there were over 300,000 dental assistants in the United States, an employment number that is expected to rise by nearly 75,000 workers in the coming years. This growth is an extremely advantageous element to this career. Essentially, you can be certain that when you enter this job, you’ll be able to stay at this job due to the demand. If you’re an individual that appreciates varied and challenging tasks, then a dental assistant position just may be for you. Dental assistants have a great deal of responsibility on the job, and no day is ever the same. For example, dental assistants are responsible for tasks like assisting with treatment procedures, developing dental radiographs, asking patient medical history and taking blood pressure, serving as an infection control officer, providing patients instructions on proper oral care, helping provide direct dental patient care, performing office management tasks, and so much more. These responsibilities and additional education opportunities also provide you with a great deal of mobility in the career. Another advantage is that you can expect good pay. A beginner dental assistant can expect to be paid around $22,000 per year, while an experienced dental assistant with a lot of responsibility is paid $43,000. The median hourly pay for this position is around $17.00. Furthermore, dental assistants usually see an increase in salary the more years they stay on the job. So there is certainly a lot of career advancement available. Lastly, but not limited to, is the advantage of working with people. The career of a dental assistant is excellent for individuals that are people oriented. If you love meeting patients, working with their needs, and helping them achieve better oral health, then you might just have found the perfect career for yourself. Jobs that are usually geared towards caring for patients have the disadvantage of personal injury to the employee. Because dental assistants often need to work with x-ray machines or sit in awkward and difficult positions while treating patients, they are more prone to suffering from backache, headaches, numbness in the arm and wrist, and neck pain. To combat this issue though, most dental assistants aim to keep a fit an active lifestyle which includes exercise and stretching. In addition, there are also other resources that help alleviate pain. While the pay is pretty good, it still ranks pretty low to other dentistry careers. For example, the median salary for a practicing dentist is about $150,000 per year and the median salary for a dental hygienist is about $68,000 per year. At the end of the day, a dental assistant ranks pretty low in terms of salary compared to their other dental industry colleagues. On the other hand though, with additional education and endurance at work, dental assistants can also increase their salary and career standing. Alright, if you can’t handle blood and puss, then chances are you will not be able to handle being a dental assistant. Dental assistants have the disadvantage of being responsible for cleaning up a patient’s blood and puss. This is perhaps one of the most inconvenient aspects of the job, but if you can handle it and it isn’t a problem for you, then being a dental assistant may still be a good career choice for you. Overall, the job of a dental assistant is pretty positive. It is a relatively easy field to get into, it is very patient friendly, there is a great deal to learn, the pay is good, and the job includes a lot of varying tasks. While you may sometimes need to clean up bodily fluids or have an ache here or there once in a while, dental assistants are usually pleased with their jobs at the end of the day.